Peter here, one of Prezentio’s slide designers and a fan of creative presentations. I’m starting the series of answering your questions, about various PowerPoint and presentation issues – from design tips to “where to catch inspiration” challenges. 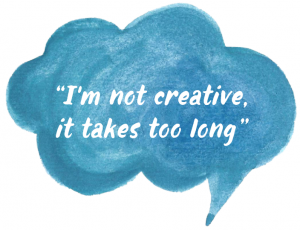 The first question I’ve got here is about the tricky combination – Creativity and Time: How to be creative and at the same time not to put a lot of effort in it? 1. Creativity can be awakened in everybody. We are all creative, just remember your childhood when you used to draw. To get some scientific reasons why drawing has escaped from our lives, check the book of Dan Roam On the Back of the Napkin. The same principle (about being creative by drawing first) applies also when you are preparing PowerPoint slides. You just need to forget the Office software and it’s all features for a while. Firstly sketch your presentation on a paper, draw a structure, draft slides manually before moving to a computer and see how your mind thinks more freely without it. Now look at the paper for a minute. Does it all have a sense? Is the flow of drafted slides ok? Would you add something? Make written notes how would you explain a specific slide content. Write, doodle, erase… Go wild 🙂 paper will stand anything. 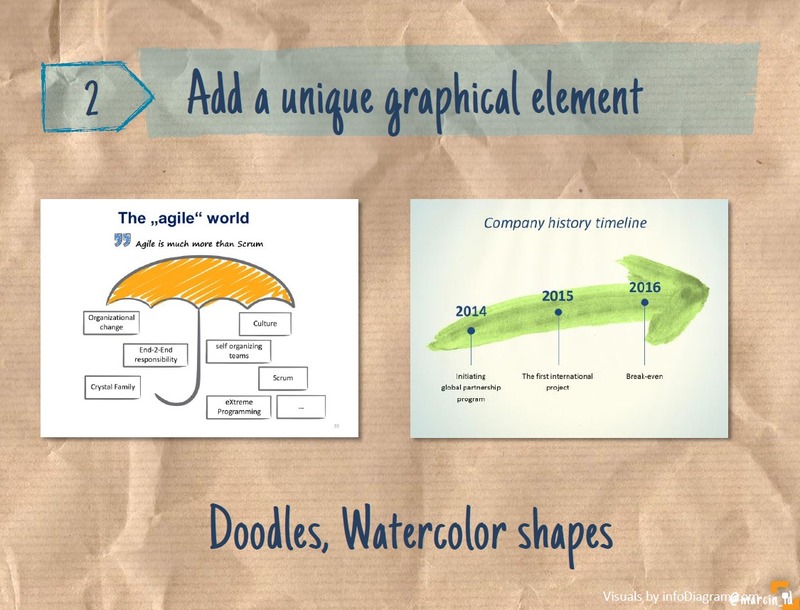 adding watercolor illustrations or change the whole presentation template to use a non-corporate look. See this blackboard slides for inspirations. sometimes using slides with lots of a “white space” (big empty places, only a little text, 1-2 words on a plain slide) can also look creative. Think of Apple design. 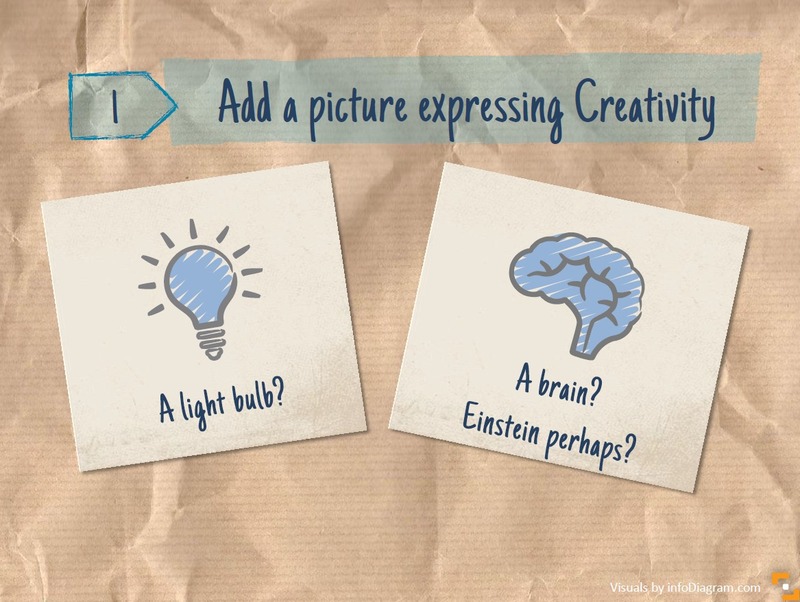 Read more about this topic in this article How To Be Creative When Preparing Presentation. 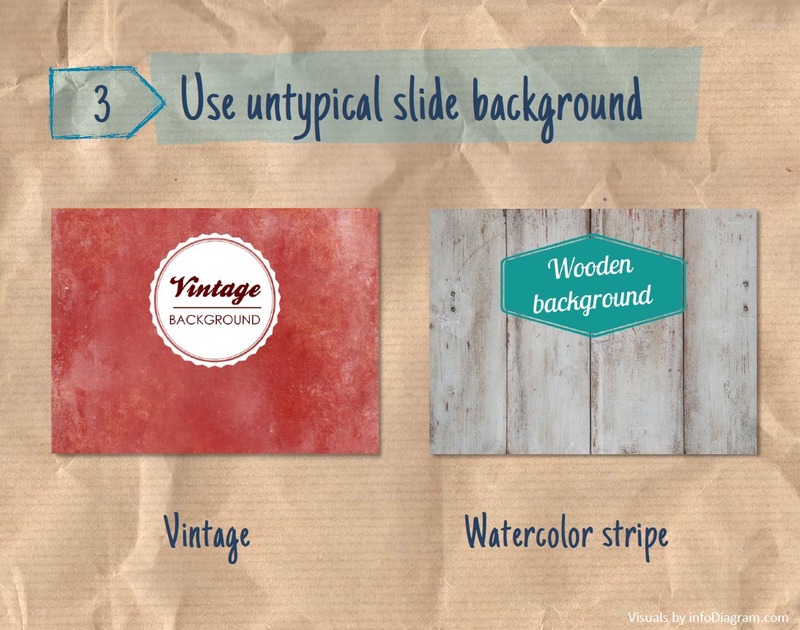 I do hope these ideas will help you add a creative touch to your next presentation slides.